Blues Brothers sunglasses epitomize the coolness and chic – of the trendy 80’s and since then they have never really bowed out of sight. Customized Blues Brothers sunglasses – purple are largely sought for gifting or advertising by all those who believe their name or brand credentials should hog limelight. This purple colored Blues Brother’s sunglass delivers UV400 protection and a working area of 2" X 5/16" for advertisers to act upon. Promotional Blues Brothers sunglasses can be preferred for personal/business gifting by music bands, entertainers, event management companies, music studios, media companies, and any corporate company or individual who wishes to propagate their brand values. 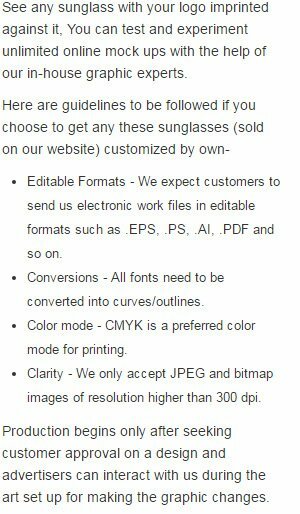 Personalized Blues Brothers sunglasses can be gifted during family parties, promotional events, sports events, community events, and any xyz event – where huge turnout is expected.